The new car had terrible luck on day 1, breaking an axle and putting us out of contention for the max-attack competition (you had to finish every stage). 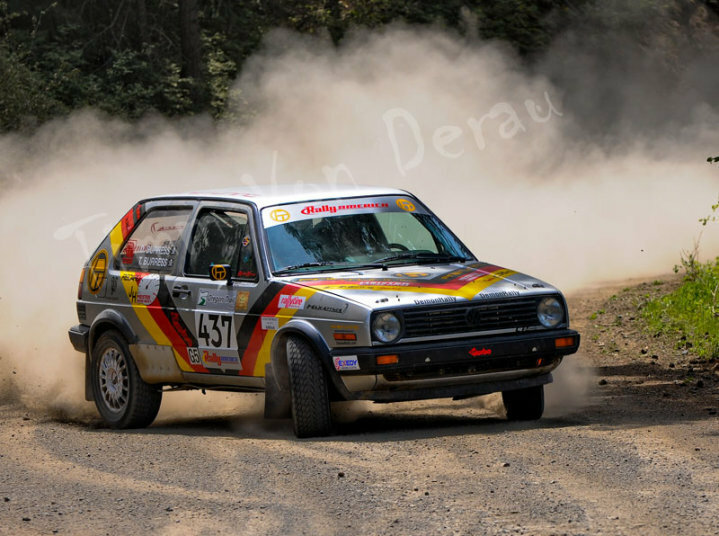 On day 2, we had some problems with overheating and maybe the fuel pump or maybe just getting enough gas in the tank because we ran out right in front of the spectator spot on Fir Mountain. We borrowed some gas from some spectator or something and made it back to service. However, we were deep in the dust of the competitors who had passed us. The last stage of the day, Tom got some red mist and we just barely got through a hay bale chicane at a very high rate of speed. The second one we totally blew at a similar rate of speed and it smashed up the front suspension a bit and we limped to the end of the stage and waited for our crew to rescue us because our day was done. We showed them who was boss on day 3, though, winning our class, 2WD and finishing 9th overall regionally despite some nagging issues. A new car is tough and needs to work out some of these issues before it rules, of course.